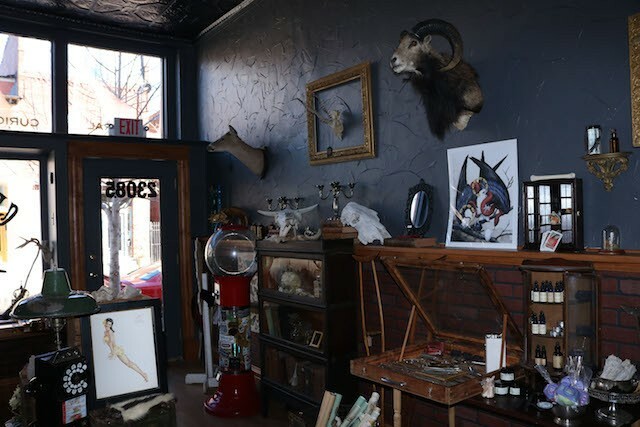 Cassandra Pace's curiosity shop has a particular interest in taxidermy. It seems uncommon to think of taxidermy as an art. Or even to think of it as a way of honoring deceased animals. 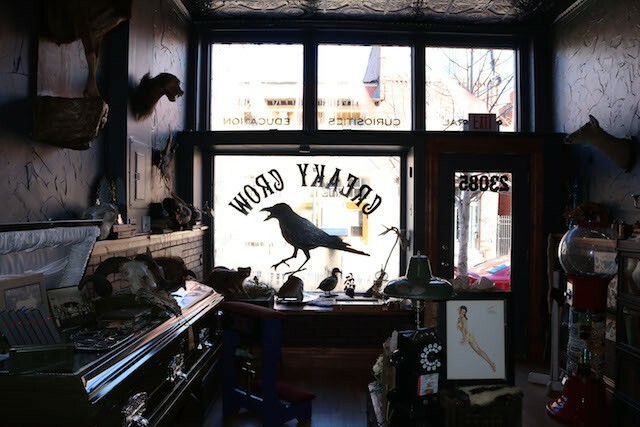 But that’s exactly what Cassandra Pace aims to do at her two-month-old curiosity shop on Antique Row, Creaky Crow (2308 Cherokee Street). The shop's sole owner, Pace has been a professional taxidermist for five years. She says she fell into the craft of preserving and rebuilding dead animals after growing in the Fenton area, where her days were filled with hiking in the woods. Almost all of the animals or entomology that pass through Pace’s store died of natural causes; the others are second-hand antiques. She is not opposed to doing custom pieces of hunted animals, but she has one condition: The person must use the entirety of the meat. Otherwise, Pace has obtained the bodies she uses and sells in the shop by working with farmers and breeders that give her their dead animals or entomology after they have passed away. She says she strives to do everything naturally. “I love animals. That’s why I started doing this because I want to appreciate them and I want them to be honored after their death,” she says. 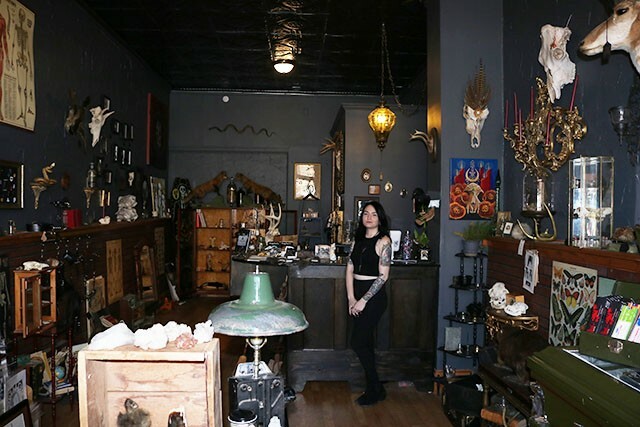 Pace’s natural curiosity for bones and “weird things” is what led her to the curiosity market. Compared to an antique shop, a curiosity market is filled with odd and different things, usually antiques, but not your usual embroidered pillow or distressed set of drawers. Pace noticed the lack of curiosity shops in the city and decided to take matters into her own hands. 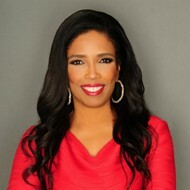 She previously ran a shop called LVB Curiosity out of her home in south city. Through selling some her items at the curio shop where Kalbi Taco now stands, Pace knew she’d found the right area to open a storefront. “Cherokee is a great market; it has a lot of foot traffic,” she explains. “Antiques in general go really well with my curious stuff and most of the stuff that I find is old so it’s on the same antique level, it’s just different. The shop is full of intriguing possibilities. The building that now houses the Creaky Crow is an antique itself, having seen many people and owners pass through its doors. 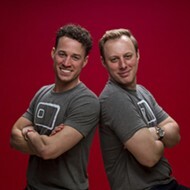 Before Pace bought it, it was an antique window shop and a photostudio before that. When Pace moved in, she painted the walls black, with a cool texture, making all her pieces stand out against the dark walls. The tin ceiling, though, is her favorite. “I had to have a tin ceiling. 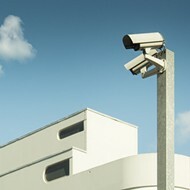 I knew it would fit really well with the esthetic and with the street,” Pace says. Along with running Creaky Crow, Pace also teaches classes. Currently, she teaches taxidermy, entomology and skeletal articulation classes. She hopes to add wet preservation and mummification to the list as well. Each class has 10 spots, and they’ve been filling up quickly. Her next available class is an entomology class on February 17th, with two spots waiting to be filled. 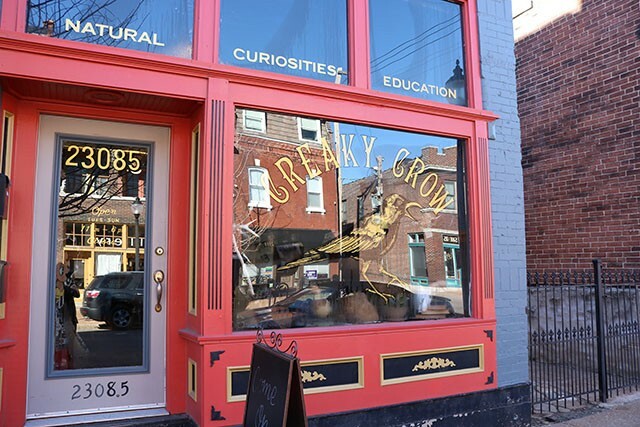 Other than Pace’s taxidermy pieces, she also features work from local artists and sells a collection of “curious things.” Creaky Crow is open Tuesday through Sunday, 11 a.m. to 6 p.m.